Flowers yellow to orange. 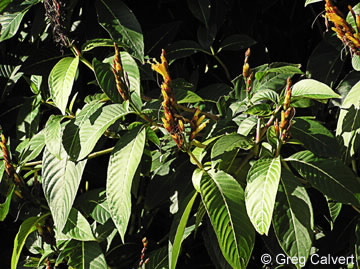 Spreading shrub to 5 m tall. 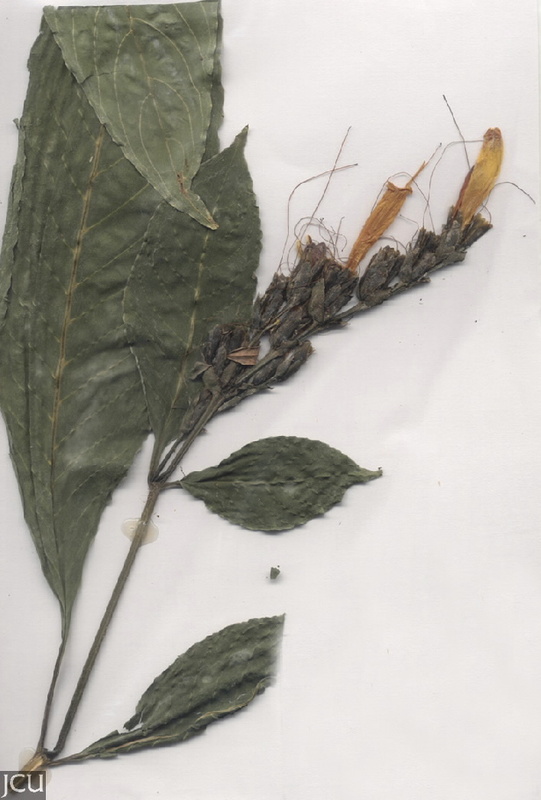 A shade preferring plant, leaves to 26 x 7 cm or more, opposite. Leaves in each pair unequal in size, dark-green, midrib pale. Flowers in a compact panicle, corolla yellow to orange/rusty, stamens exserted. Fruit 1-1.5 cm long. Plants grows from fragments and it also suckers.